Justice for Victims in Lubanga case? On 3 March 2015, the International Criminal Court released its long-awaited reparations appeal decision in the Lubanga case. The court had convicted Thomas Lubanga in 2012 for enlisting, conscripting and using child soldiers in the Ituri conflict in the Democratic Republic of Congo. He was sentenced to serve 14 years imprisonment. Two and half years since deciding on reparation principles, the ICC Appeals Chamber amended the original decision and ordered reparations against Mr Lubanga. The challenge for the Court is that Mr Lubanga is penniless and has no resources to make reparations to the 129 victims recognised by the Court. However, the ICC Trust Fund for Victims (TFV) has resources to provide reparations to victims in such situations. From the start of the reparation proceedings, the two groups of victims strongly advocated for individual reparations to respond to their personal suffering. While most of the victims are former child soldiers, they did not believe that they had sufficient connection with each other to benefit from collective awards. Any form of collective compensation would be to assist in reintegrating child soldiers and community sensitisation to encourage recognition of them as victims. Yet, the TFV argued against individual awards, preferring instead that affected communities receive reparations. There seemed to be good reasons for this approach. The TFV’s limited funds could not dispense large compensation awards. Moreover, as the victims in the Lubanga case were mostly Hema child soldiers, it could exacerbate ethic tensions by not enabling Lendu victims of Lubanga’s militia to claim reparations. In addition, many eligible victims had not had access to the Court to claim reparations. These victims could number in their thousands. The two victims groups in the Lubanga case rejected this community-based approach, as it was the community which had actively supported child recruitment during the conflict. Many of those who committed crimes would benefit from such awards. The TFV community-based approach misconceives the notion of harm, in that it was the community that suffered, rather than responding to the suffering of individual victims. This approach better fits with the TFV’s second mandate of providing assistance to victims in ICC situations. It may be the case that the TFV cannot separate this mandate from its reparations’ one, with the effect that it merges reparations with assistance, undermining its ability to acknowledge and remedy individual victims’ suffering. The original ICC reparation decision by the Trial Chamber deferred to the TFV community-based approach, rejecting individual reparations because Lubanga is penniless and because of the TFV’s limited resources. The Trial Chamber and the TFV had good intentions to ensure reconciliation and widen the benefits of the ICC reparations to a larger section of affected communities in Ituri. But it is not what the victims wanted. reparation orders must identify eligible victims harmed by convicted crimes. The outcome for victims is good and bad news. The good news is that the Appeals Chamber in the Lubanga case has restricted the number of victims who can claim awards to those harmed by the crimes of using child soldiers by Mr Lubanga. 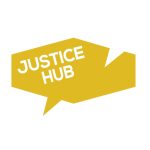 Thus, the community-based awards are rejected, but members of the community who meet the definition of a victim under the ICC Rules and were harmed by Lubanga’s crime could claim reparations. In addition, the Appeals Chamber upheld the victims’ arguments that reparations should be ordered against Lubanga, despite him being penniless. This means that reparations will be made through the Trust Fund. But if Mr Lubanga earns any money or receives assets in the future, these can be seized and paid back to the Trust Fund. The bad news, however, is that victims of sexual and gender-based violence fall outside the definition of eligible victims. As a consolation, the appeal judges suggested that such victims could still benefit from the Trust Fund’s assistance programmes. Moreover, the Court refused to award individual reparations, given the large number of victims and limited funds. The Appeals Chamber recognised that any victim who claimed individual reparations would be eligible for collective reparations. Any collective measures have to be voluntary and with the consent of victims, thus making it more sensitive to victim participation in the future crafting of collective reparation measures, rather than letting it be delegated to the Trust Fund. The types of collective reparations awarded will be decided in six months time. It seems the Court, in identifying the harms suffered by child soldiers, will order collective reparations that correspond to assisting the victims’ reintegration in society, as well as addressing their psychological, economic, and educational needs. These limitations represented the restricted nature of justice at the ICC, which is dependent on justice being delivered more broadly to victims through domestic processes. The DRC government should complement the work of the ICC by developing a reparations programme for all victims of international crimes. The Ugandan government has also been heavily implicated in the training and supporting of Mr Lubanga’s militia. Uganda was held liable for reparations for atrocities committed during Ituri by the International Court of Justice in 2005, but it has still not paid reparations. 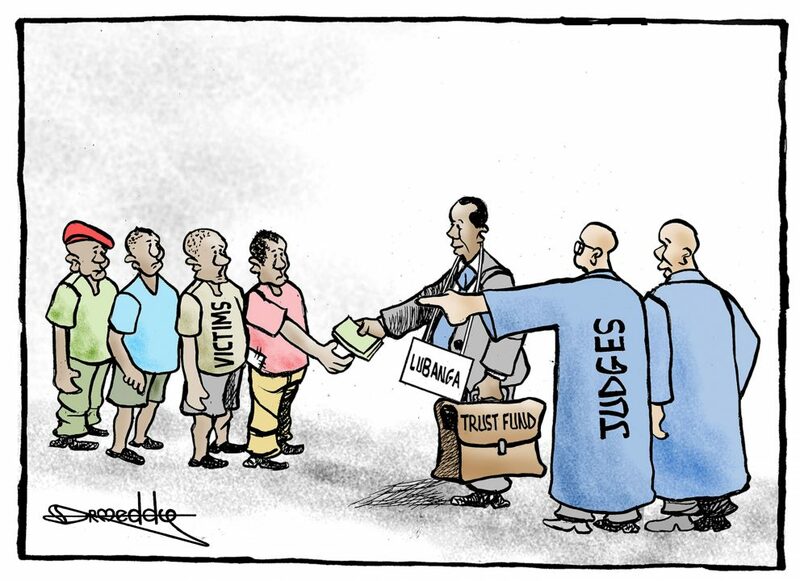 In all, the Appeals Chamber while not an outright victory for victims in the Lubanga case, does provide a more judicial and reasoned position than the original decision. Importantly, it affirms reparations are a measure of accountability, by holding individual perpetrators responsible for remedying the harm they have caused. Shortcomings in the Lubanga case in relation to sexual and gender-based crimes may be corrected if his subordinate Bosco Ntaganda is convicted in his upcoming trial at the ICC. The decision represents the first reparations order by the ICC, with many more to come. Yet to really deliver justice to all victims, reparations need to be domestically developed to provide redress to victims beyond the few before the ICC. Luke Moffett is a law lecturer in international criminal justice at Queen’s University Belfast.